This is the year Hattie wants to find real FULL ON love. No more McFitties, but real, long-term love. And she thinks she knows who with. His mum may still call him Goosey Woosey and he might have an unnatural interest in doing well in his GCSEs, but Goose could actually be THE ONE! But how can Hattie make him realise this, when he seems more interested in his gecko? And there’s the other matter of her dad, who seems to be more interested in saving the planet than in his new-found daughter. And there’s also Gran, who has a new iPad and a dangerous obsession with Twitter. What’s a girl to do? 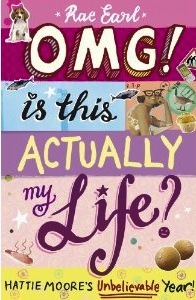 Write it all down in a hilarious diary about the ups, downs and total dramas of being Hattie Moore. 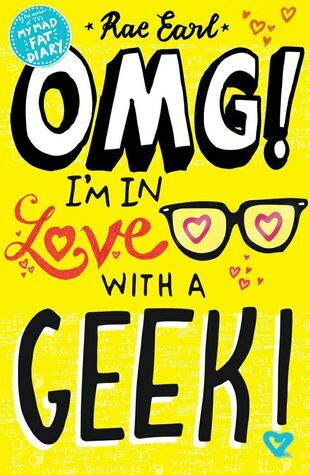 Categories: Humour, Romance, Social/Family | Tags: Rae Earl | Permalink. Fourteen-year-old Hattie Moore doesn’t actually know who her dad is – but that’s the least of her problems. How can she become a TOTAL HOTNESS GODDESS when Miss Gorgeous Knickers at school hates her and NO ONE FANCIES HER. And her family are an actual nightmare. Her unbelievably annoying brother is EVIL and on top of that, her gran is a TOTAL mental, who may be texting rude jokes to just about EVERYONE in the world. Including dentists. Hattie’s diary of this tumultuous year is an absolutely hilarious account of the ups and downs of teenage life, including a dating bogey phobia, near death from biscotti and a home-made breast-growing machine. Categories: Humour, Social/Family | Tags: Rae Earl | Permalink.